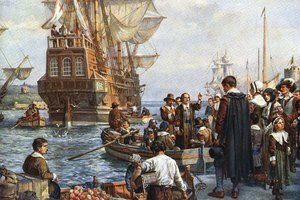 Did the New England Colonies Have Slavery? 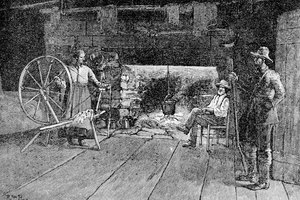 During the Early 1800s, Most Americans Earned Their Living As What? Slavery thwarted African-Americans' pursuit of freedom and personal gain. Slavery was a pivotal issue leading up to the Civil War, but its roots in colonial America go back to the early 1600s. Colonists relied on imported slaves to help with labor on their farms. African slaves often agreed to travel across the Atlantic and settle in the colonies because they saw a bright future in the new, prosperous land. Many were hopeful that they would eventually own land themselves and enjoy the political, religious and economic freedoms white Americans enjoyed. Unfortunately, white men’s selfish motives and lust for economic gain made it nearly impossible for slaves to follow those dreams. In the early 1600s, leaders of American colonies encouraged landowners and farmers to import African contract workers, also known as indentured servants, to work for a designated period of time, often five years. Landowners who hired indentured servants received more land from the government to produce crops. Indentured servants received free fare across the Atlantic and room and board from their employers. Once the contract expired, indentured servants were given a termination bonus, such as money, land, food or weapons and freedom. 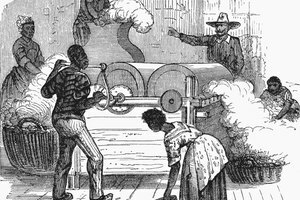 Unfortunately, indentured servants were often mistreated by their employers and only 40 percent lived to complete the terms of their contracts, according to USHistory.org. Jamestown was the first settlement to import slaves from Africa. In 1619, twenty slaves arrived in Jamestown, employed as indentured servants. 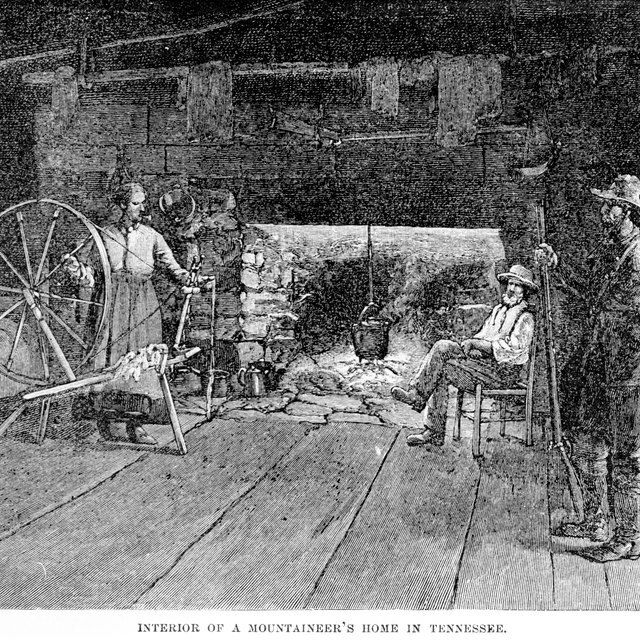 Virginia was an agricultural state that relied on field labor for the production of tobacco, primarily for export purposes. 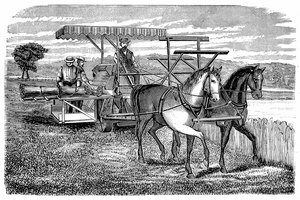 By the late 1600s, Virginians determined they needed a long-term labor force to complete the intense planting, transplanting and harvesting methods that tobacco required. They created statutes that made some black laborers permanent slaves. In 1662, the state created a law that decreed children of black mothers to be free or slave, according to the status of the mother. In 1660, only 3 percent of the total colonist population consisted of slaves. By 1790, over 40 percent of the population of Virginia alone consisted of slaves, as reported by VirginiaPlaces.org. Massachusetts was the first state to legalize slavery in 1641 and Connecticut followed in 1650. Fugitive laws were established, detailing penalties for slaves who tried to escape and giving slave owners the freedom to enforce the laws. The tides changed and slaves were no longer seen as valuable, short-term contract laborers but as workers who were forced to spend a lifetime serving their employer or master. Slaves didn’t have the economic resources or political voice to petition for change and spent over two centuries as laborers in racially prejudiced colonial America. Slavery in the American colonies during the 1700s was tough and tragic for many who were treated harshly and denied their civil liberties. States passed statutes that restricted slaves’ freedoms, such as New York’s policy that disallowed more than three slaves to congregate, Connecticut’s statute that promoted whippings for slaves who disturbed the peace and Virginia’s laws that allowed slave owners to kill their runaway slaves. States also made it illegal for whites and blacks to marry or engage in sexual relations. It wasn’t until 1774 that The First Continental Congress discontinued slave trade and Connecticut, Rhode Island, Georgia and Virginia prohibited employers from importing slaves. The first abolitionist society was established in 1775, of which Benjamin Franklin became the president in 1787. What Drew Americans Westward in the Late 1700s & the Early 1800s? What Types of Work Did African Americans Have When the Civil War Was Going On? Tucker, Kristine. "Early Slavery in American Colonies Before the 1800s." Synonym, https://classroom.synonym.com/early-slavery-american-colonies-before-1800s-16093.html. Accessed 20 April 2019. 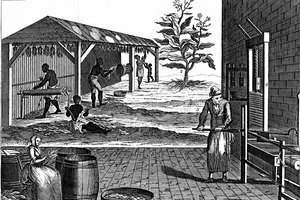 What Brought About the Creation of Slavery in the Colonies?